Sixteen-year-old Harper was once a rising star on the tennis court—until her coach dropped her for being “mentally weak.” Without tennis, who is she? Her confidence at an all-time low, she secretly turns to her childhood friend, next-door neighbor Jacob—who also happens to be her sister’s very recent ex-boyfriend. If her sister finds out, it will mean a family war. But when Harper is taken on by a new coach who wants her to train with Colt, a cold, defensive, brooding young tennis phenom, she hits the court all the harder, if only to prove Colt wrong. But as the two learn to become a team, Harper gets glimpses of the vulnerable boy beneath the surface, the boy who was deeply scarred by his family’s dark and scandalous past. The boy she could easily find herself falling for. As she walks a fine line between Colt’s secrets, her forbidden love, and a game that demands nothing but the best, Harper must decide between her past and her future and between two boys who send her head spinning. Is the cost of winning the game is worth losing everything? A sizzling tennis romance perfect for the summer months, The Harper Effect, will be a grand slam for fans of Kasie West, Miranda Kinneally and Simone Ekeles. Taryn lives the typical writer’s life with supportive husband, teen children, and characters from her latest book insisting they help make dinner. This can be disconcerting as Jacob is always sticking his fingers in the cheese sauce and Harper can’t cook. Taryn’s been an English Literature Honours student, an advertising sales rep and a CEO of an internet company, but writing is her first love. 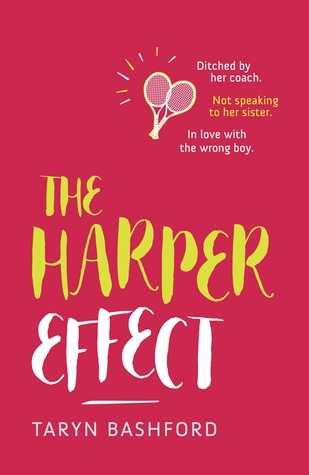 The Harper Effect is her debut novel.